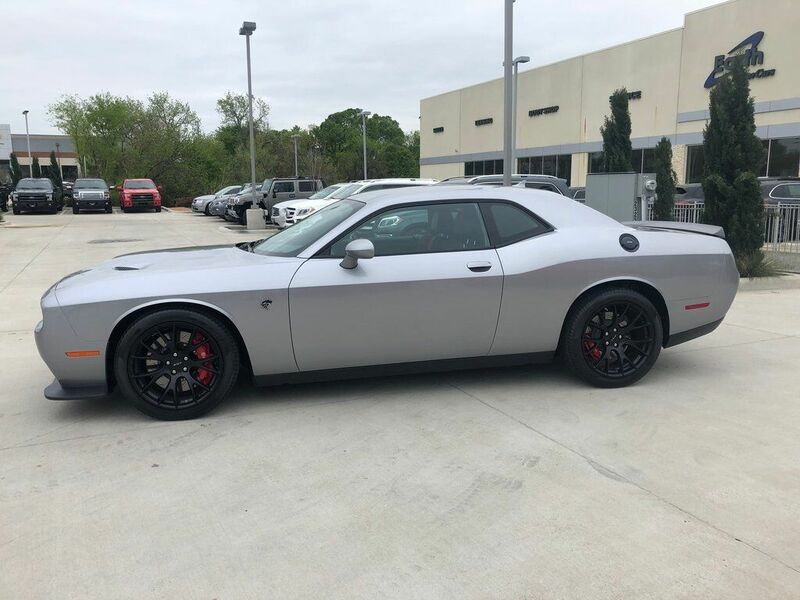 Earth MotorCars is Proud to Present This: 2015 Dodge Challenger SRT Hellcat 98 ORIGINAL MILES CARFAX One-Owner. 1 Yr. Trial (Registration Required), 5-Year SiriusXM Traffic Service, 5-Year SiriusXM Travel Link Service, 8.4" Touchscreen Display, Blind Spot Sensor, Configurable Drive Mode, GPS Antenna Input, GPS Navigation, Harman Radio Manufacturer, HD Radio, Integrated Voice Command w/Bluetooth, Media Hub (SD, USB, AUX), Performance Shift Indicator, Quick Order Package 25R, Radio: Uconnect 8.4 NAV, SiriusXM Satellite Radio, SiriusXM Traffic, SiriusXM Travel Link, Uconnect Access, Ventilated front seats, Wheels: 20" x 9.5" SRT Low-Gloss Black Forged.This vehicle is also eligible for our EXCLUSIONARY EXTENDED WARRANTY that covers a wide variety of components (certain exclusions apply).....Please ask your sales representative for details.Welcome to Dallas Fort Worth's Premier Luxury, Exotic and Classic Cars Dealership. We specialize in offering the Finest Vehicles, Providing Outstanding Customer Service, Obtaining the Best Financing Options and Stocking a Large Selection of Luxury Vehicles, Exotics, Classic Cars and More! See for Yourself what Thousands of Customers have Discovered over the Years and Make your Next Purchase from Earth MotorCars! Our Goal is to Make you a Customer for Life!Learn more about us by calling 214-483-9040 or via e-mail at sales@earthmotorcars.com. Visit us on our Website at www.earthmotorcars.com.